Caudill was lodged in the Russell County Detention Center. 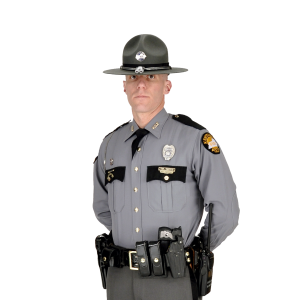 Russell County, KY (March 22, 2019) – On March 21st, 2019 at approximately 7:20 PM CST Trooper Billy Begley, along with officers from the Russell Springs Police Department responded to a residence on Hwy E 80 to attempt to execute a probation violation warrant on 22 year old Kirk Caudill, of Russell Springs. As Trooper Begley entered the residence Caudill became combative and attempted to flee. Caudill was arrested and charged with assault 3rd, resisting arrest, wanton endangerment 2nd degree, and possession of drug paraphernalia in addition to the probation violation warrants. Caudill was lodged in the Russell County Detention Center.